Question: What do Willie Nelson, Waylon Jennings, Emmylou Harris, Wyonna Judd, Gillian Welch, Cowboy Jack Clements, Joe Ely and Buddy Holly all have in common? Answer: They were all namechecked by Kimmie Rhodes last night during her Bristol show, reflecting the depth and breadth of her musical associations over the last thirty plus years. Of course Buddy Holly is the odd one out of not working professionally with Kimmie but, being the source of the Waylon story, a fellow original inhabitant of Lubbock Tx and one of her heroes, made his presence relevant. In fact Kimmie chose to end the show with a cover of ‘Raining in My Heart’ to cap a performance running deep in a wealth of classic country and immaculate song writing. This beautiful hall now converted to a vibrant music venue hosted a one off double bill of two contrasting touring musicians reflecting a diversity of styles becoming encompassed under the Americana banner. 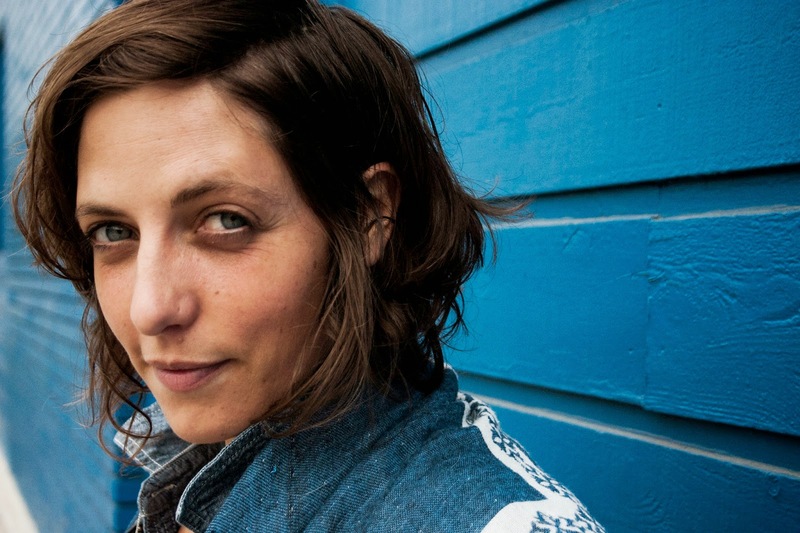 While Kimmie is a certified Texas treasure born with the gift of Lone Star song writing sentiment, Awna Teixeira beautifully blends the nuances of Canadian and European folk to present a sound extolling in haunting brilliance. Although technically billed as opening for Kimmie, Awna’s set was just a mere 15 minutes shorter and if maybe the bulk of the audience were initially attracted to the more country sound, leaving enthralled by the essence of the ‘support’ was just shy of mandatory. Both artists were touring in the duo format with Gabe Rhodes assisting Kimmie and Jay Speed doing likewise to Awna. 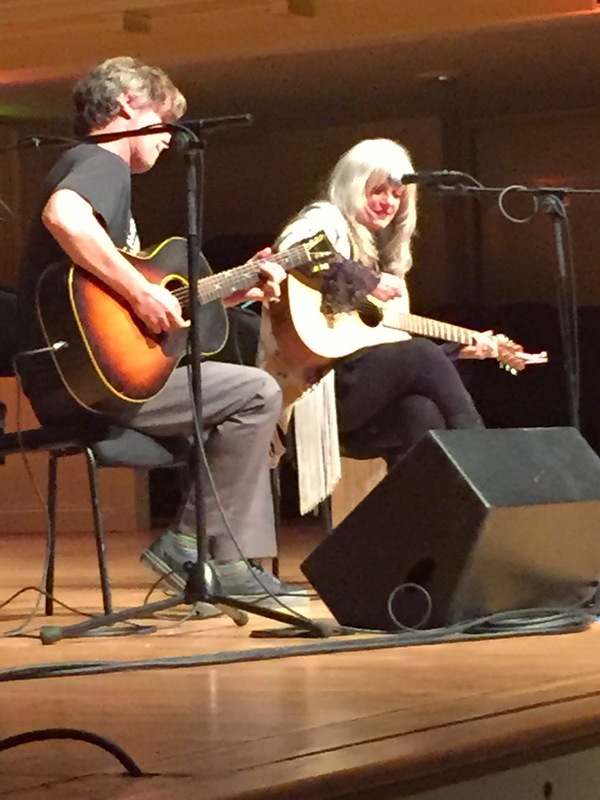 The mother-son comments frequently flowed in the second half of tonight’s show, although Gabe’s value to Kimmie’s music is immense whether playing effective guitar in a multiple of styles or being more than tempted to make full use of the venue’s grand piano. Gabe was also a key architect on Kimmie’s latest and very impressive album COWGIRL BOUDOIR. Perhaps it was a solitary regret from the show that we only heard two songs off this record. While ‘Yes’ and ‘Worthy Cause’ are fine numbers, there is so much more on offer to enjoy on the disc and it could have easily filled another half an hour. Awna did focus more on her latest album featuring amongst others, the title track ‘Wild One’, ‘Thunderbird’, ‘Away We Go’ and ‘Blue Heart on Your Sleeve’. Jay started and finished his supporting contribution on lap steel, with faint electric guitar adorning the mid-section. Although Awna’s solo career is gathering momentum, we remember her eclectic musicianship as part of Canadian roots combo Po Girl and tonight during her allotted 45 minutes we were treated to banjo, guitar and accordion. Whether reflecting on her Portuguese heritage, passionately campaigning for increased mental health awareness or celebrating the wonders of her surroundings, the latter captured in ‘Stargazer’, the composed Awna enthrals and entices with equal measure. One note to the venue would be to turn the sound up on the vocals a little, as it was quite tricky to listen to Awna’s inter song chat from an allocated seat towards the rear of this cavernous hall. This situation was resolved for Kimmie’s set by finding a couple of empty seats nearer the front and there was no issue listening to her informative and entertaining tales punctuating a series of songs stretching across her back catalogue. There was a different take on the Buddy Holly/Waylon Jennings much told plane crash story, as well as Kimmie paying humble homage to her mentor Willie Nelson. This peaked with a gorgeous version of ‘Love Me Like a Song’ which was neatly followed by one of the first songs she recorded when re-locating to Austin at the outset of her career, the very Tex-Mex sounding ‘Contrabandistas’. 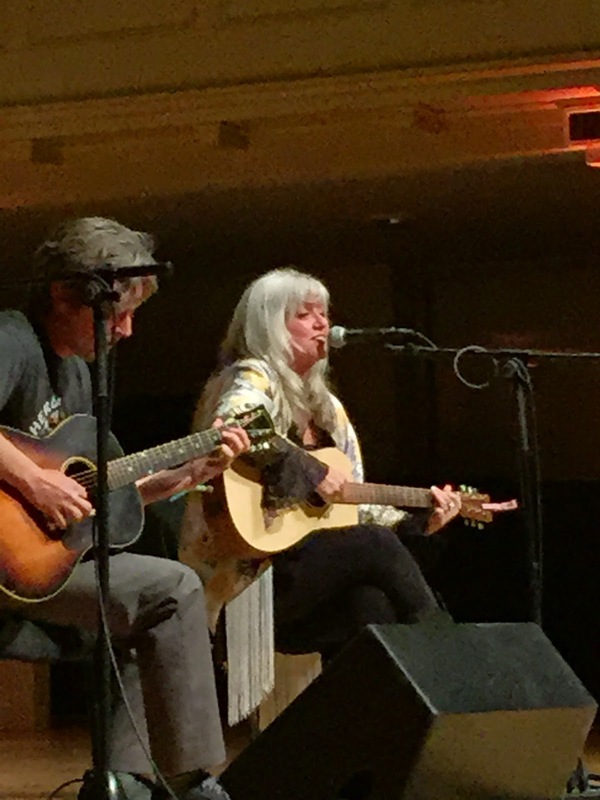 Other songs sung during this engaging set with illustrious connections were ‘Love and Happiness’ (Emmylou Harris), ‘I Just Drove By’ (Wyonna Judd) and ‘God’s Acre’ (Gillian Welch). On the plus side it was great witnessing two exceptional artists sharing a single bill but, with the inevitable frustration of seeing their sets cut in mid-flow due to time constraints. It’s a shame that no West Midlands venue was prepared to give either artist a solo gig especially as Awna was an integral member of the popular Po Girl. However fair play to St. George’s in Bristol for hosting a fine evening. No doubt both artists will be keen to continue to develop their presence in the UK in the future as Awna Teixeira will without doubt prosper by dazzling audiences with her exclusive take on roots induced Euro-Canadian Americana and there is little hesitation in hailing Kimmie Rhodes as the personification of ‘three chords and the truth’.